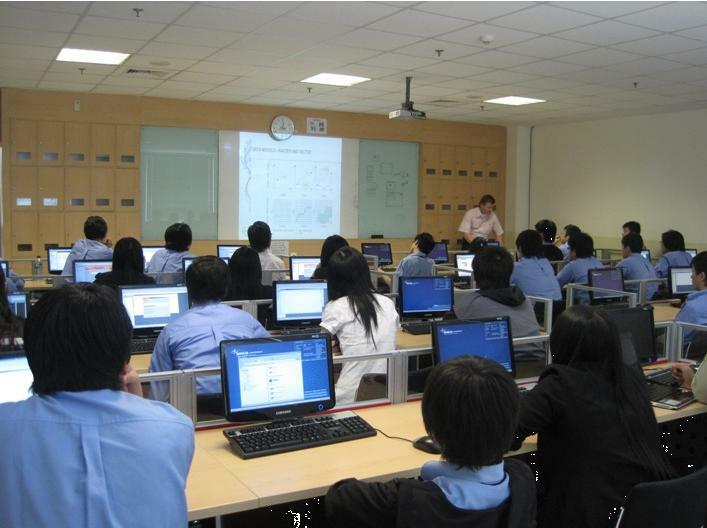 Thursday, December 1st 2011, three delegates from Inha University visited BINUS. 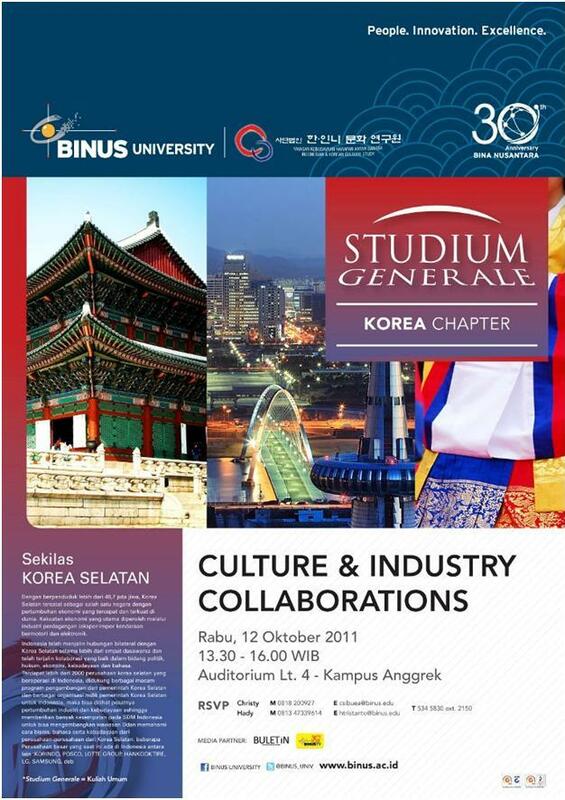 Ms. Kim Ji Hee (Admission Coordinators, Graduate School), and Ms. Lee Dong Ae (Admission Coordinators, Graduate School), representing Inha University Graduate School gave an Information Session on Graduate Admission for BINUS students who are interested to join master programs in South Korea. 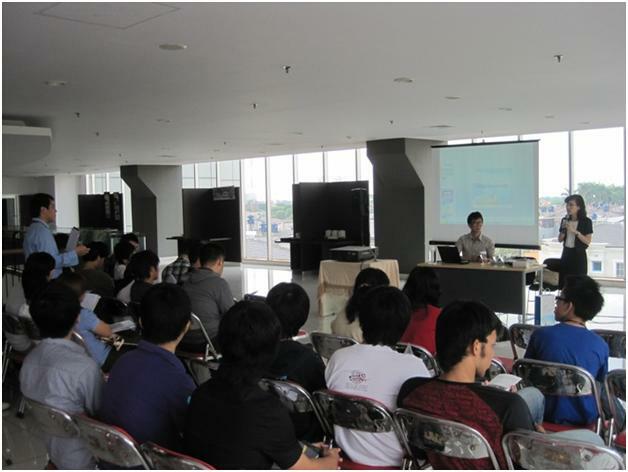 The event took place in Exhibition Hall, Anggrek Campus. After the information session Ms. Kim Ji Hee, and Ms. Lee Dong Ae joined in a meeting with Dr. Chin In Joo (Vice-President for Research and External Affairs from Inha University) to discuss further collaboration between BINUS and Inha University. 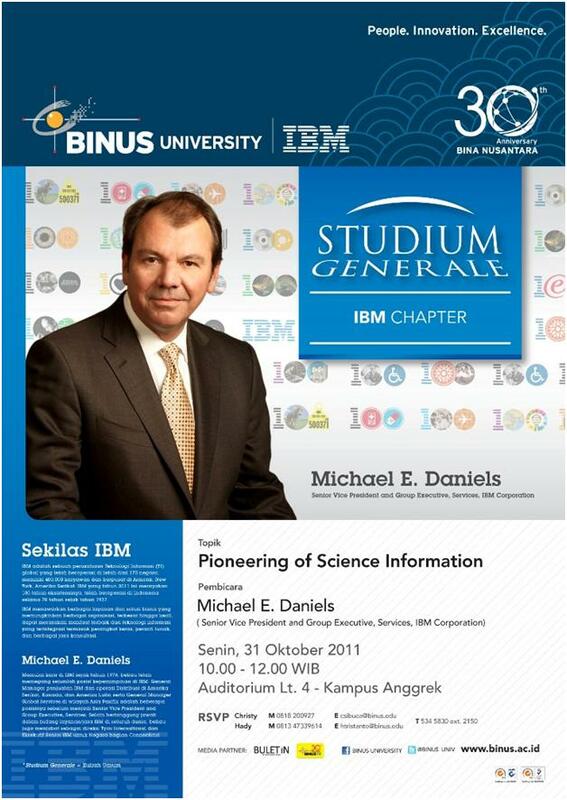 Wednesday, 9 November 2011, twelve delegates from nine different universities in USA visited BINUS. Mr. Brook W Ross (Director) and Ms. Hana Eureka Batubara (International Higher Education Consultant) from ACCESS Education accompanied the guests to BINUS University. 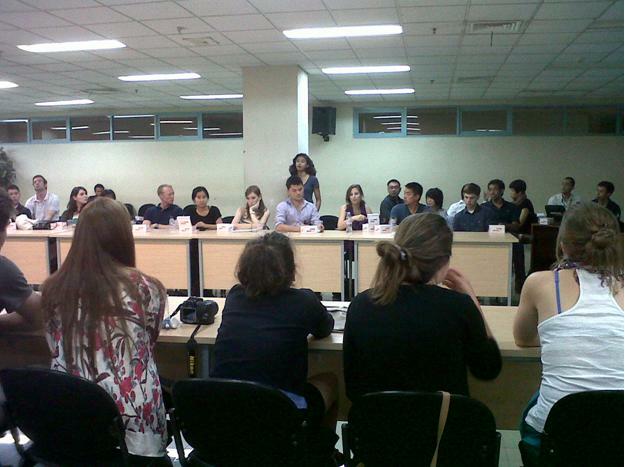 The ten delegates representing their universities come from Brown University, California State University Long Beach, Kansas State University, La Salle University, San Diego State University, Syracuse University (University College), the George Washington University, University of Massachusetts (Boston), and the University of Mississippi. 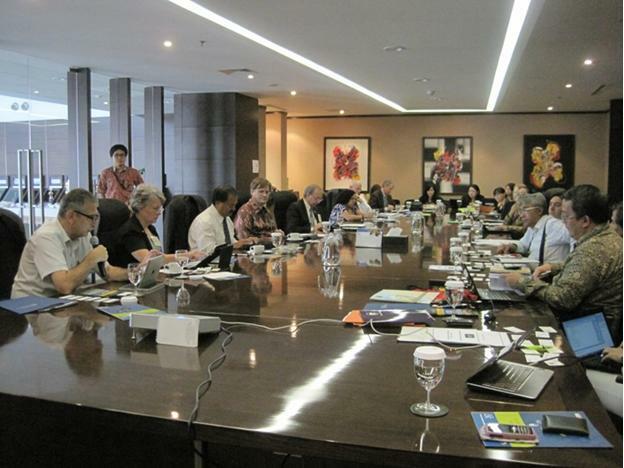 The purpose of the meeting is to explore a possible interest, and open discussion of any possible collaboration in exchange, research, and etc. 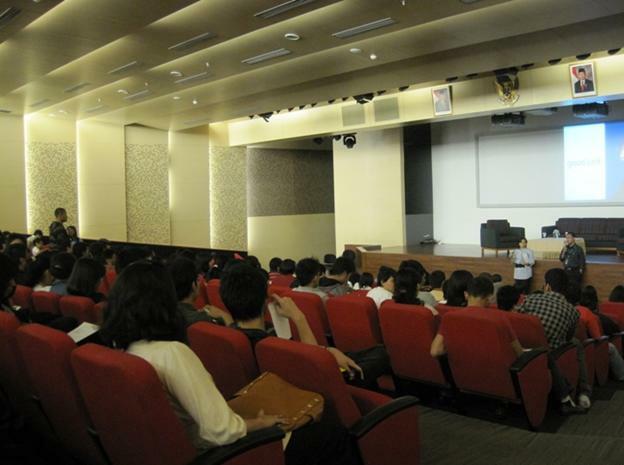 Thirty- nine BINUS Students are joining Inha University Summer School (1 – 19 August 2011). They will learn Korean Language & Culture, and also elective course such as Intercultural Communication, Korean Business & Economy, and East Asian Politics and International Relations. 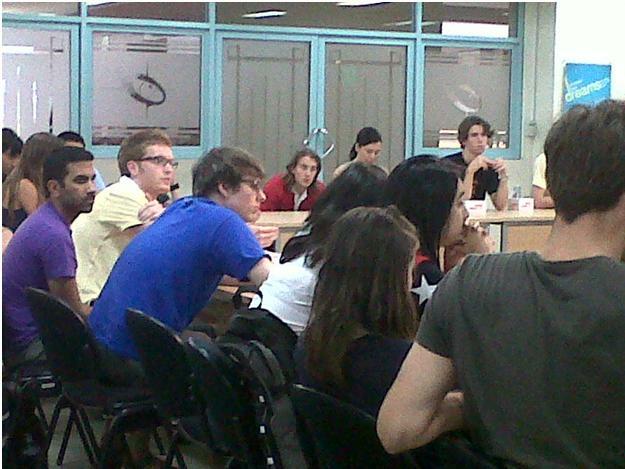 This program is participated by 240 students from 45 universities in 15 countries all over the world. Inha University is in mourning period; due to the tragic loss of the 11 undergraduate students who were the victims of Chuncheon landslide tragedy in Gangwon Province caused by torrential rain, while on their voluntary services last week. 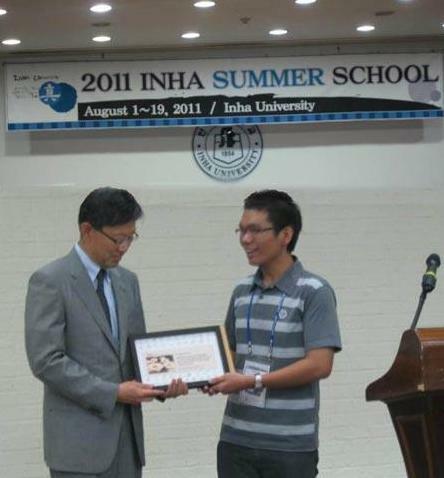 Summer School participants from BINUS conveyed their deep condolences by giving a symbolic tribute to Mr. In-Joo Chin, Ph.D (Vice President, Research and External Affairs, Inha University, as an expression for the great loss. As partner university, BINUS express deepest condolences and sympathy to Inha University to get through this sad moments. 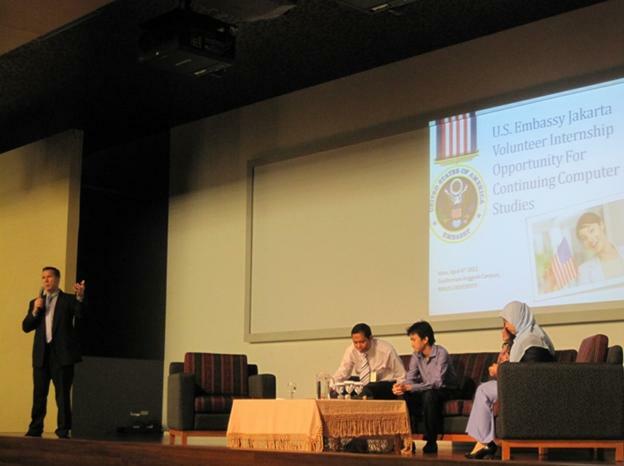 Monday, 4th of April 2011, BINUS Career held “Seminar and Internship Opportunity at U.S. Embassy”. 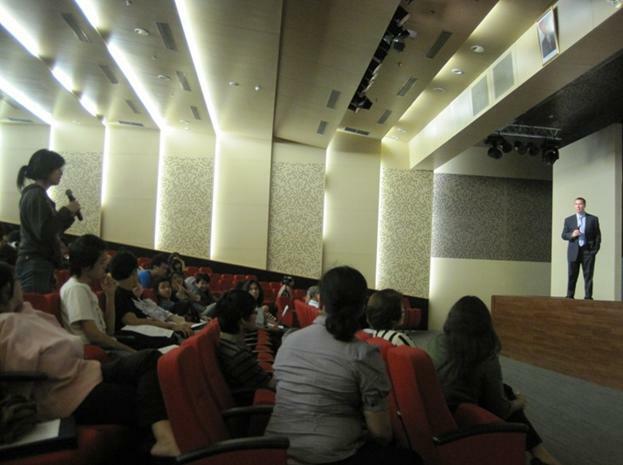 Mr. Wade C. Martin, from U.S. Embassy Jakarta, comes to give the talk during the event. He encourages students to learn and apply for the opportunities. The session ends with questions and answers sessions. 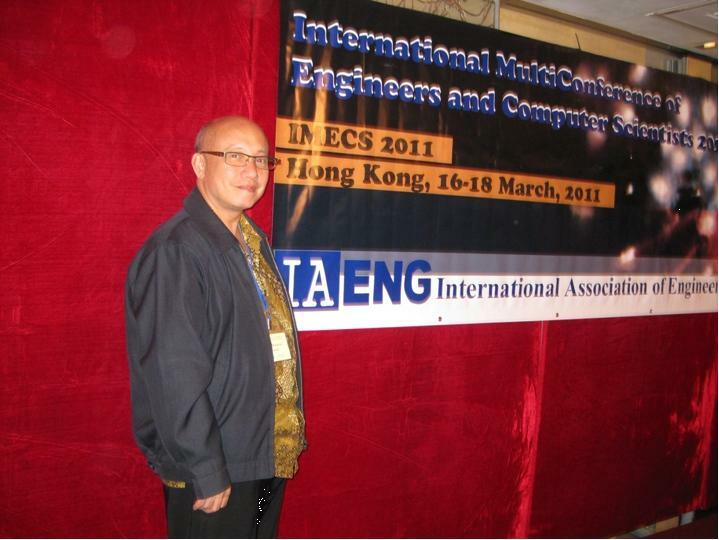 Mr. Wikaria Gazali from the department of Mathematics, BINUS University, visited Hong Kong to attend the International MultiConference of Engineers and Computer Scientists 2011 (IMECS 2011). 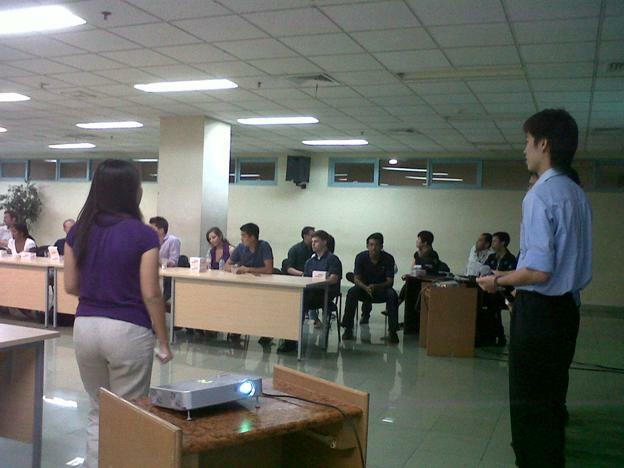 The conference started on the 16th and ended on the 18th of March 2011. The IMECS 2011 is organized by the International Association of Engineers (IAENG), a non-profit international association for the engineers and the computer scientists. 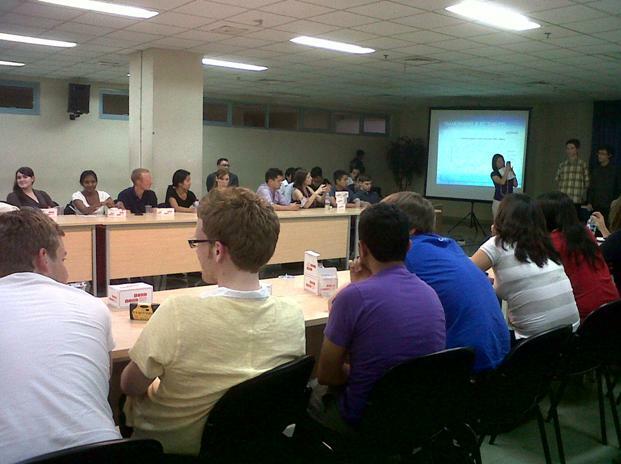 The conference has the focus on the frontier topics in the theoretical and applied engineering and computer science subjects. 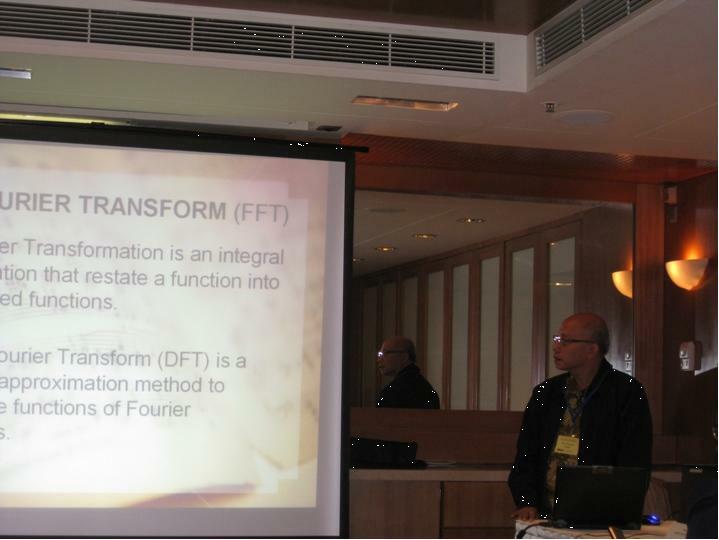 Mr. Wikaria Gazali presented his paper on “Designing Application Programs Sheet Music Using Fast Fourier Transform Method”. Mr. Djunaedi Santoso, Dipl. Ing, M. Kom is also involved in the creation of the research paper. He is a lecturer from Computer Science. After Mr. Wikaria presented his paper, he proceeded to join the conference. The objective of the program is designed to provide higher education in Korea for international students, with the aim of promoting international exchange in education, as well as mutual friendship amongst the participating countries. To learn more about requirement and how to apply, please download the guidelines attached. 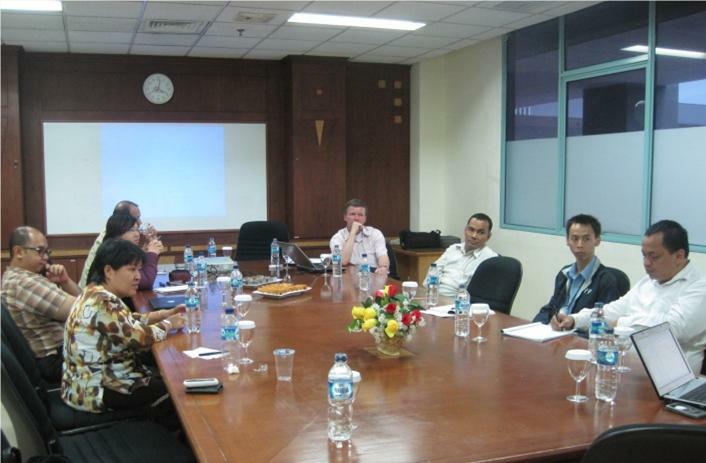 Thursday, 10 March 2011, Professor Christine Ennew from Nottingham University, UK visited BINUS. Prof. Ennew is the Pro-Vice Chancellor for Internationalization and Europe. She is also the Professor of Marketing in Nottingham University Business School. She also acted as Deputy Director of the Business School, and Director of the Division of Business and Management in Malaysia. 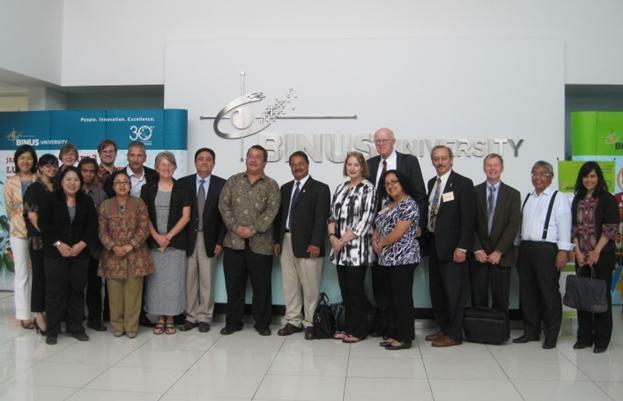 The purpose of the visit is to talk about further collaboration between the two universities. 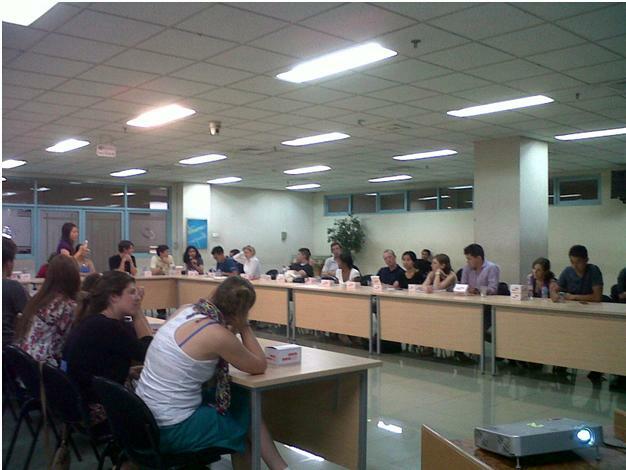 There is also a discussion about possible research collaboration between the two schools. 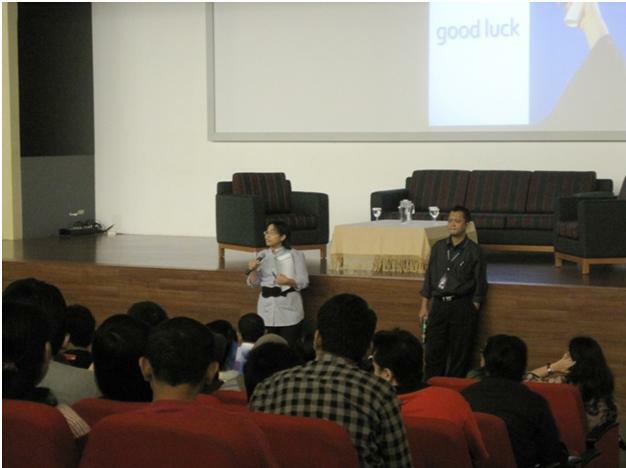 After the meeting, Prof. Ennew is brought for a short campus tour in JWC, and Anggrek campus. 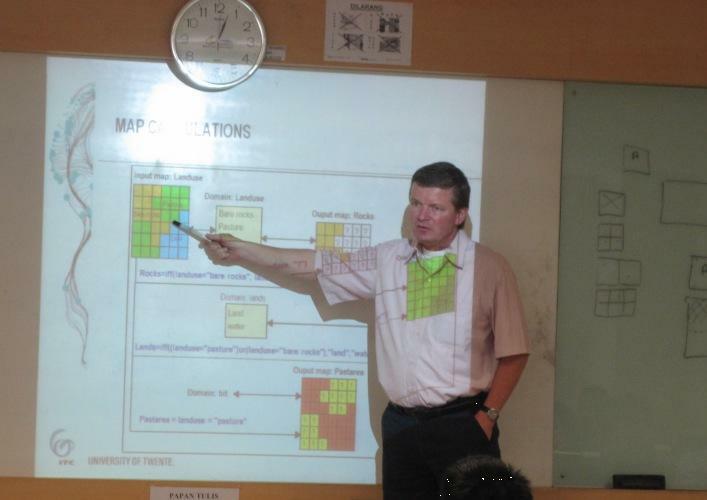 Thursday, 17th February 2011, Dr. Tom Loran from University of Twente, The Netherlands visited BINUS University for the second time. He came to give GIS training, and meeting with faculties to discuss a possible collaboration with the department of Computer Science.